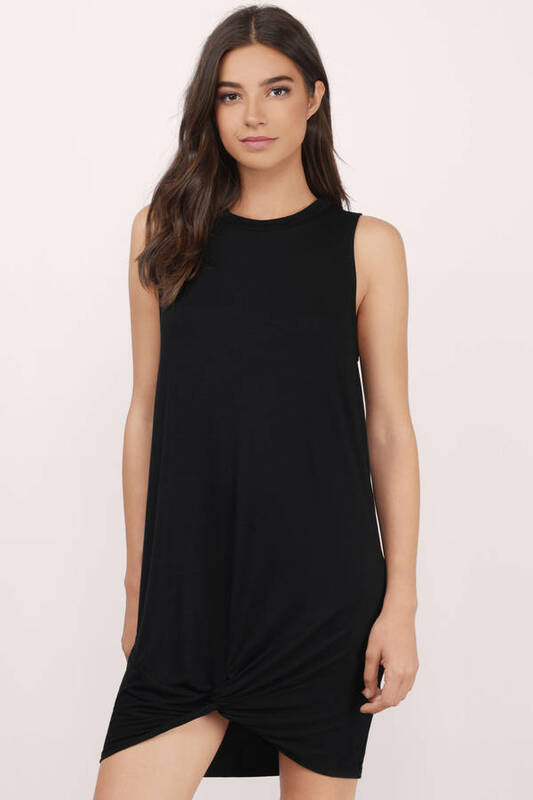 Check out Tobi's Knot Your Girl Twist Shift Dress The Knot Your Girl Twist Shift Dress is so comfy and stylish that you'll probably want to live in it. 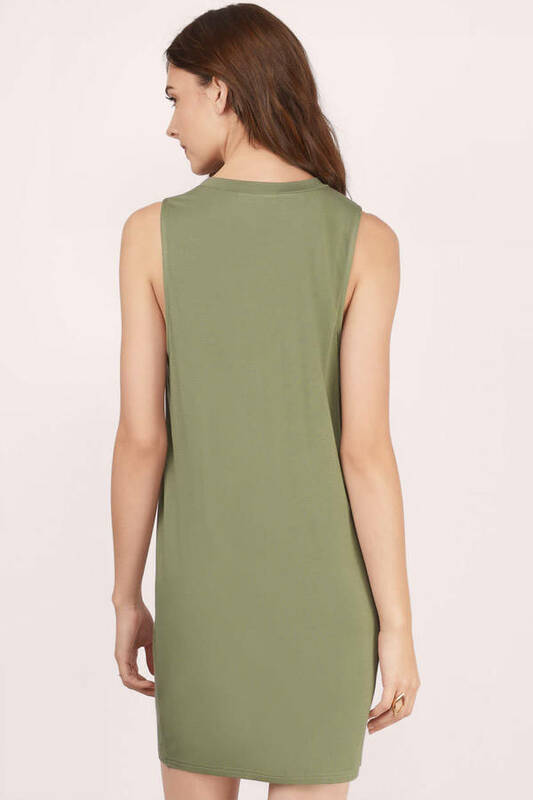 This soft jersey knit shift dress features a cool twisted knot design at the front, adding a little kick to its relaxed silhouette. Style with a denim jacket and ankle booties. The Knot Your Girl Twist Shift Dress is so comfy and stylish that you'll probably want to live in it. 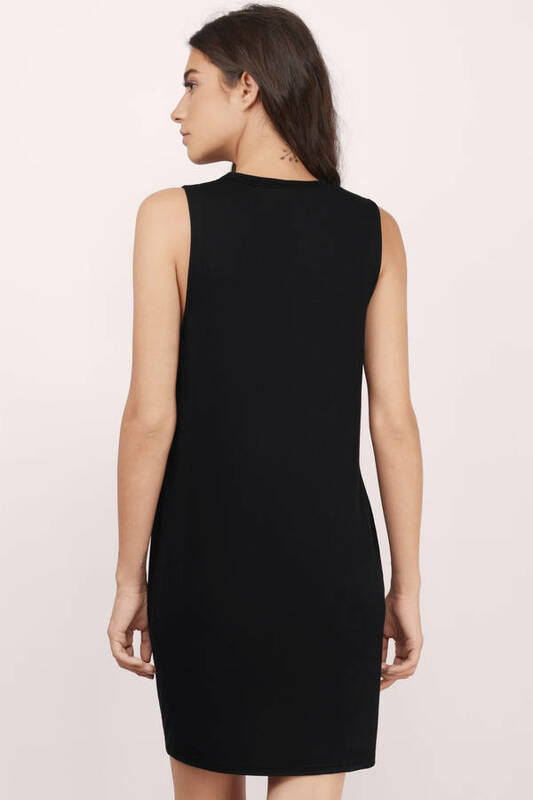 This soft jersey knit shift dress features a cool twisted knot design at the front, adding a little kick to its relaxed silhouette. Style with a denim jacket and ankle booties. 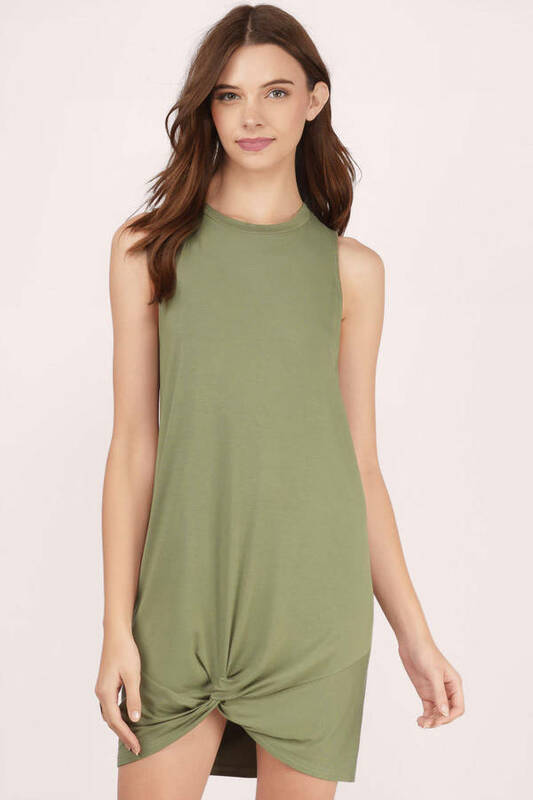 Model's profile: height 5' 9", bust 34.5", waist 24.5", hips 35"
Olive & Rust modeled on a size Small.